Look, people enjoy learning from video. If you need to learn something, where is the first place you go? Most likely, isn’t the library. The answer? YouTube videos. Free learning videos and online video-based courses have taken over as the preferred method of learning for new generations. Video engages two senses, sight and hearing, providing for a deeper, multi-sensory learning experience compared to other formats. Plus, video can show examples of real-life application of skills rather than simply “telling” a learner what to do. But to be effective, eLearning videos have to be done well. They have to be well-written, well-produced, and meet all of the desired learning objectives. That’s why many companies hire learning agencies to help develop custom eLearning videos. 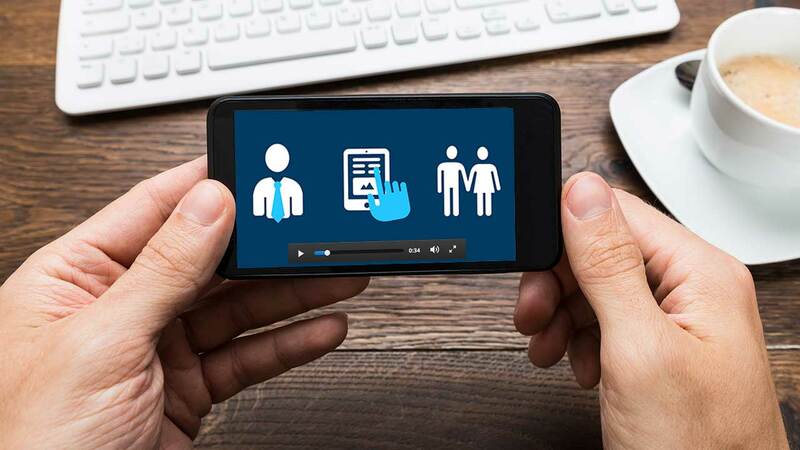 But if you decide to take it on yourself, here are our nine tips for using videos in your eLearning course or program. Before you jump into filming and editing, you must make sure to write a quality script. When creating eLearning videos, preparation is 80% of creating a successful video. Just as you would for an in-person training, you need an outline for your video. What is the purpose? What is the learning objective? Draft an outline and fill in the gaps with language that speaks to your audience. Once you have your script written, read it out loud. Reading out loud smooths out the editing process and helps further refine your script. Steal a tactic from the marketing playbook and tell a good story. After all, humans love stories. Brainstorm some ideas and develop a solid plot, theme, and 2-3 characters. For eLearning videos, you can keep you story incredibly simple. Consider the problem you’re trying to solve with your video. Use those problems as your “challenge” in your story. And walk through how the characters can solve this challenge. One example would be an eLearning video teaching how to operate equipment. The story would contain a character that runs through challenges. Maybe they use the wrong settings or don’t clean the equipment properly. Your eLearning video would show the implications of these issues, and how to resolve them moving forward. This story-format helps your viewers understand exactly what needs to be done. The most effective eLearning videos are often the shortest in length. Learning by video in small chunks, also called microlearning, allows learners to easily absorb and remember learning objectives. With diminishing attention spans, microlearning videos allow for improved information processing and flexibility. 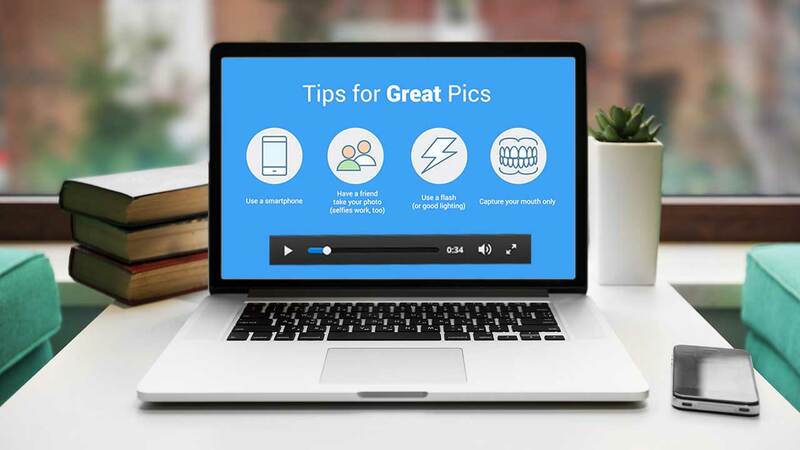 When your eLearning videos are short, your learners can access them anytime. This means during breaks, commutes, or anytime they need to find a quick point-of-reference. We suggest keeping each eLearning video segment to under 5 minutes. eLearning videos that extend over 15 minutes can cause information overload and diminished comprehension. We all love to be entertained. And learners in the digital era expect entertainment in their eLearning program. They want to be captivated and immersed in the content. And most often, adding entertainment to your video is the best way to achieve that. Maybe a funny cat pops up in your video at random times. Maybe your main character makes jokes every once in awhile. Put your marketing hat on and think what your audience would enjoy. One word of caution: be careful with your entertainment selection. You certainly don’t want to go too far and lose the point of your eLearning video. Learning objectives are always the number one priority. But if you can add in a little surprise and delight, your learners will be overjoyed watching your videos. While you don’t need a fancy camera to make good eLearning videos, maintaining high production quality is critical to make sure your learners stay focused and engaged. More often than not, your videos will use a voiceover with text and simple animations over top. When recording a voiceover, make sure you use an external USB microphone rather than you built-in computer mic. They are well worth the cost to maintain a high quality of audio. Now for the video side: If you’re using a stock animation program like Vyond, Doodly, or Videoscribe, make sure to keep your video on brand. Use just 2-3 colors and be consistent with your font throughout the entire video. Use transitions that keep your video flowing smoothly. If you’re shooting a video, you need to make sure you have good lighting. That means using natural light if possible, avoiding harsh shadows, and paying attention to your background. You can purchase a set of lights to help with this. But if you’re only creating a video every once in awhile, the sun is an efficient and affordable light source. Also, make sure you film your video with a tripod. This will help stabilize your footage and make for much more professional looking video. When explaining a complex skill, the last thing you want is a poorly edited video to get in the way of your learning experience. Your eLearning video edits need to be smooth and flow together seamlessly. If you’re editing on your own, make sure you watch a few YouTube tutorials to learn best practices. We use Adobe Premiere Pro to edit all of our videos. But if you’re on a budget, there are plenty of free video editing software available. Video editing takes a long time. Often it can be the longest part of your eLearning video creation process. Expect to be patient and allocate plenty of time to make sure you get it right. If you’re pressed for time, you can always hire a company to edit eLearning videos for you. The benefit of using video is the visual learning component they provide. By using simple, clean visuals of “how to” perform a task can be incredibly effective to help your learners develop skills. Whether it’s using stock video footage, or a simple animation, you can also show side-by-sides of what ‘to-do’ and what ‘not-to-do.’ This comparison style can be very effective to boost comprehension and understanding. This tactic is the old notion of “show, not tell.” This style has worked for centuries and is a tried and true strategy for any quality eLearning experience. Using background music is a highly debated topic in the world of eLearning. Some professionals call it distracting. Others say it helps deepen the learning experience. Our opinion? We are for it. Back to the entertainment factor we discussed, background music help modernize your e-Learning. It helps set the mood for your eLearning and provides a level of comfort and joy in your learners. By engaging multiple senses, background music also helps improve knowledge retention and creates an emotional connection to the content. That being said, make sure your music choice matches your audience and learning content. Light instrumental music tends to work best. Sound effects, such as a “pop” or “swish” sound during transitions, are another effective way to spice up your eLearning video. While these certainly aren’t necessary, they add to the entertainment factor and can help deepen retention. Video is not the end-all-be-all for learning. While it is certainly an effective learning platform, learners need support to further enhance the learning experience. Try pairing your learning videos with supportive materials. This could include real-life practice, games, worksheets, simulations, and guides. Anything that you feel will boost engagement and deepen the learning experience. Remember that applying knowledge in a practical sense is the ultimate way to learn. Make sure your videos are set up to support real-world situations.